A couple of years ago my husband had to go out of town for work (yes, spending a week in Las Vegas was work) and while he was gone I decided to give our dark dingy bathroom a little face lift. I painted the walls, added a new light fixture, a couple of new towel hooks, a large mirror, original art and purchased a new shower curtain & hooks (along with a few other little upgrades). Our bathroom went from dark browns with eggshell walls to a wonderful bright white with silver and touches of blue. I bought the shower hooks because they were not only the style that I wanted, but silver, little did I know the headache they would cause me for the first couple of weeks of use. Not only do these shower hooks make a horrible metal squeaking/squealing sound when you open and close the shower curtain (we have learned to live with this), but the inside vinyl shower curtain kept falling off the hook. 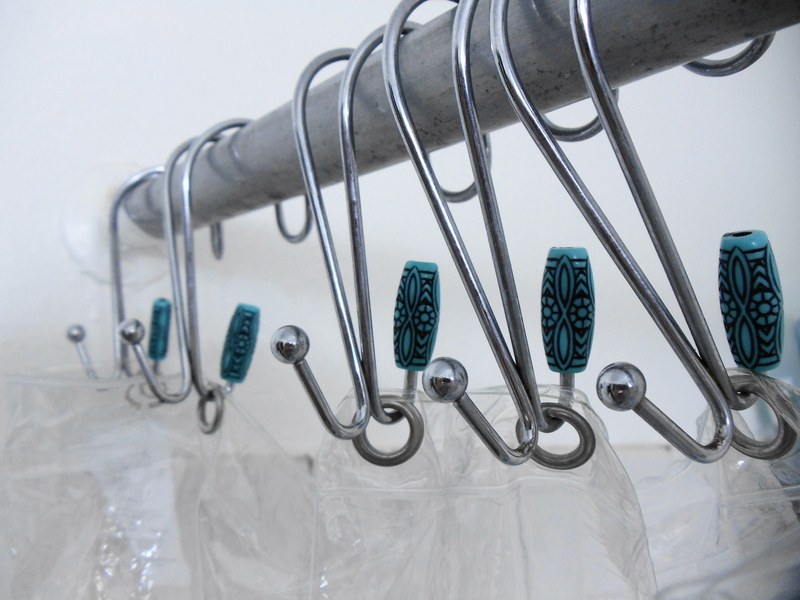 Yes, I spent two weeks putting the vinyl shower curtain back on the hooks after each shower (thankfully, it would only fall off a few at a time…but was still frustrating). 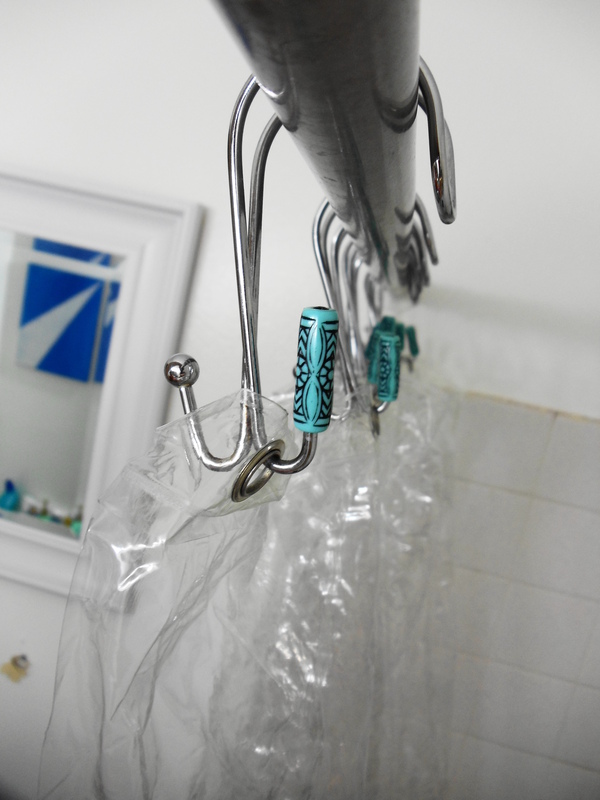 So, I put on my thinking cap and tried to come up with a creative way to keep the vinyl shower curtain on the hooks. Ding! Ding! DING! Beads…that is my answer! In my spare time I run a tiny etsy shop where I sell homemade craft that happen to include some jewelry. 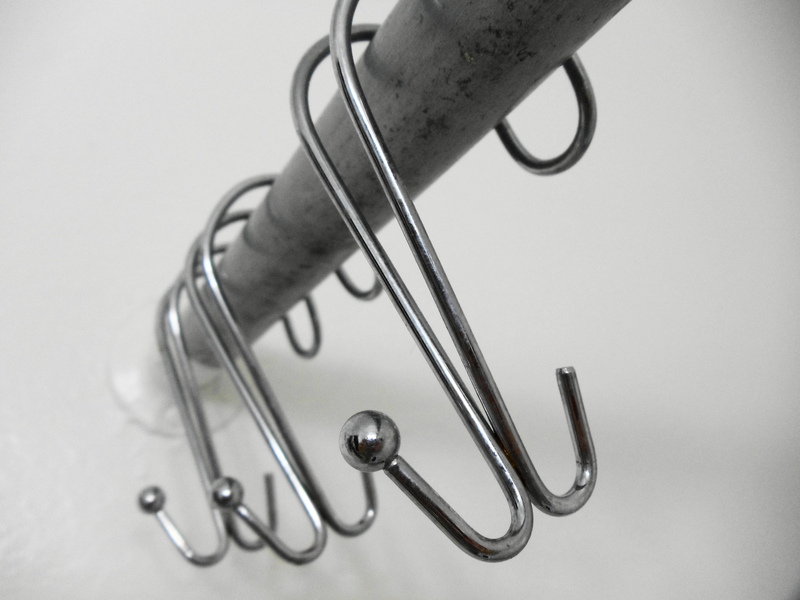 Looking at the size of the hook I knew that I must have a bead with a large enough hole to fit, and that I did. 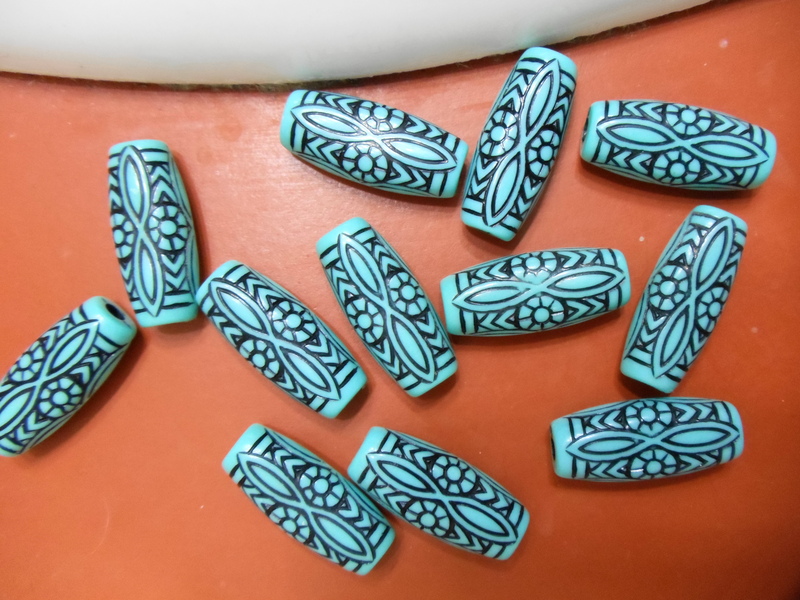 These plastic beads were purchased from one of my local big box craft stores for less than $2…easy, quick and cheap fix, you can’t beat that. My next easy fix: Cleaning your vinyl shower curtain. As with most people cleaning is not my favorite task, especially the shower curtain. Any time we need to clean our vinyl shower curtain I take it and our outer fabric shower curtain and put them in our wash machine on hot with some laundry soap and bleach and wash them in the whites cycle. Yes, your curtain will be very wrinkled when it gets done being washed, but just pull it apart and hang it back up and you will be good to go. 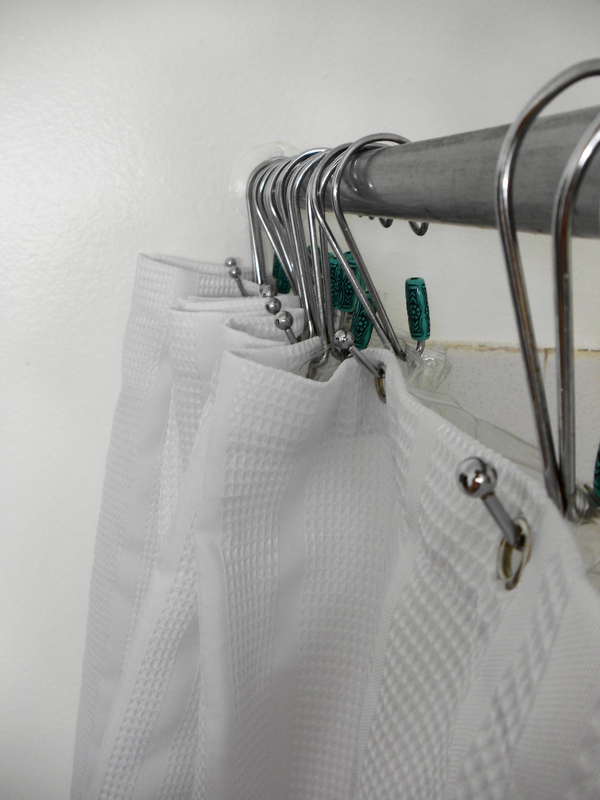 No more wiping down the shower curtain when your washer can do the work for you.